Finding new targets to audit is always fun. At the same time, it can be a challenging task –especially if we’re going to start auditing the target from scratch. It can also be quite tedious and time consuming. While going through the ups and downs of auditing a new target, I usually take some time off to check the status of my old buddies. And by old buddies I mean targets that I’m already familiar with. One of the targets that I always go back to and one that has a sweet spot in my heart is Adobe Acrobat Pro DC. The fact that it has so many features integrated, from image to document parsing and a lot more, makes it a great target. Every year in preparation for Pwn2Own in March, I usually fly to Austin the week before the event to help with the preparation and setup. While waiting for the laptops to finish setup, I decided to have another look at Adobe Acrobat Pro DC, but this time I decided to look at new attack surfaces – ones that I’ve never touched or audited. So, Onix32.dll, anyone? (Not to be confused with an onix). 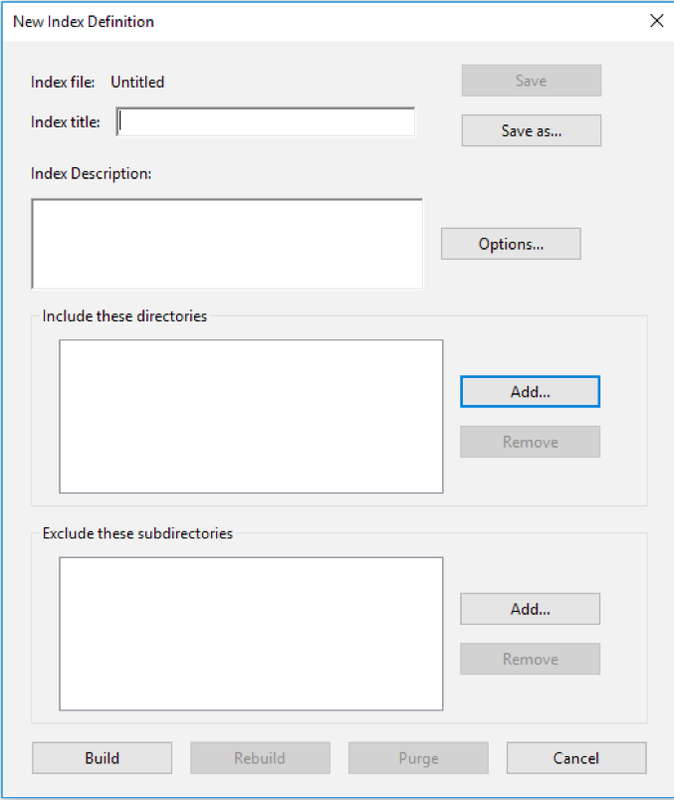 In short, Adobe needed a solution to create indexes for searching purposes. It seems that they decided to use a solution provided by Lextek International. Great, so far so good – but how is this library used? And what’s the attack surface there? Onix32 is used to create index files. 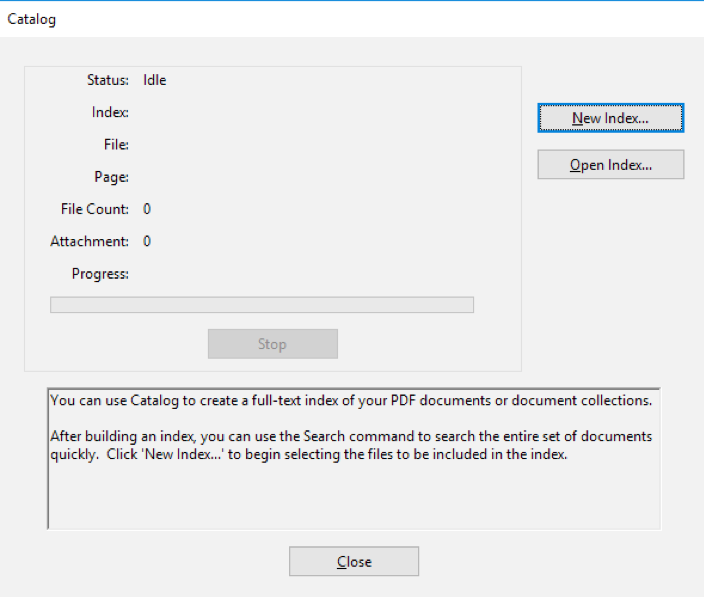 These index files are complex proprietary binary file formats. Adobe uses the API exposed by Onix32 to do things like create indexes, open indexes, search, etc. You can even create sample index files for fuzzing purposes from the GUI interface, which is what I did initially. Going after API usage vulnerabilities inside Catalog.api at this point is trivial, given the amount of reversing done. In the end, I was able to find these remote code execution and info disclosure vulnerabilities: ZDI-18-958, ZDI-18-599, and ZDI-18-467. Anyway, the vulnerability was in one of the Onix32.dll API’s, specifically in calling ixStartRetrievalSession when parsing a malformed index file. While the end result is an untrusted pointer dereference, the bug in its nature is quite unique. 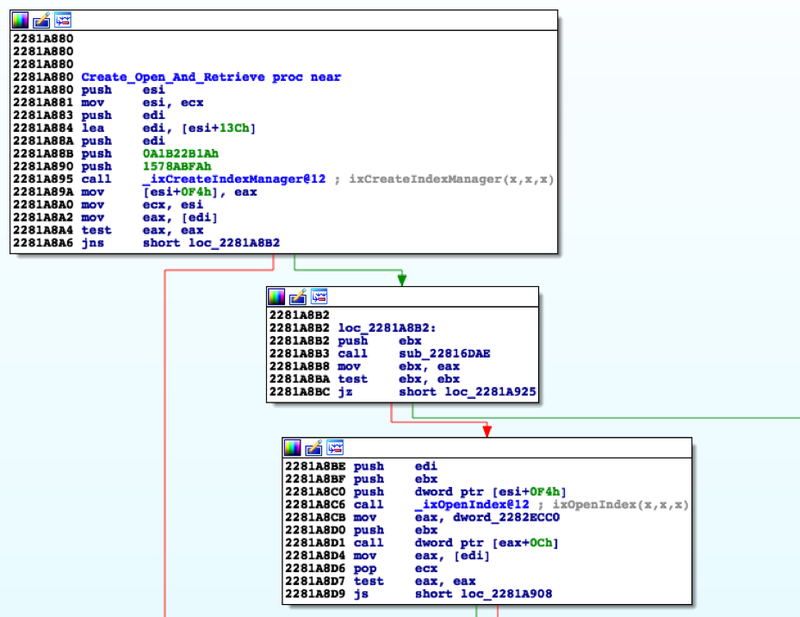 The vulnerability is basically an overflow of the IndexManagerT object. Using a malformed crafted index file, we can overflow the IndexManagerT object until we overwrite a FileClassT pointer, which would later be dereferenced from inside PartitionReaderT::ReaderHeader. I thought we knew each other quite well, Acrobat. It turns out you’re always hiding stuff. It’s quite amazing how much you can find in targets that you thought you knew quite well. Finding new attack surfaces in an application is a bittersweet mix of pleasure and challenge at the same time. There are many more details about this research that we’re planning on releasing in the future (along with Sebastian) and possibly presenting the material somewhere. We’ve only scratched the surface here, and it seems as big as the entire Johto region. As always, kudos to Sebastian Apelt for taking things to the next level and pumping more bugs! On to the next region attack surface! Until then, you can find me on Twitter at @AbdHariri, and follow the team for the latest in exploit techniques and security patches. Pokémon © 2002-2018 Pokémon. © 1995-2018 Nintendo/Creatures Inc./GAME FREAK inc. TM, ® and Pokémon character names are trademarks of Nintendo.